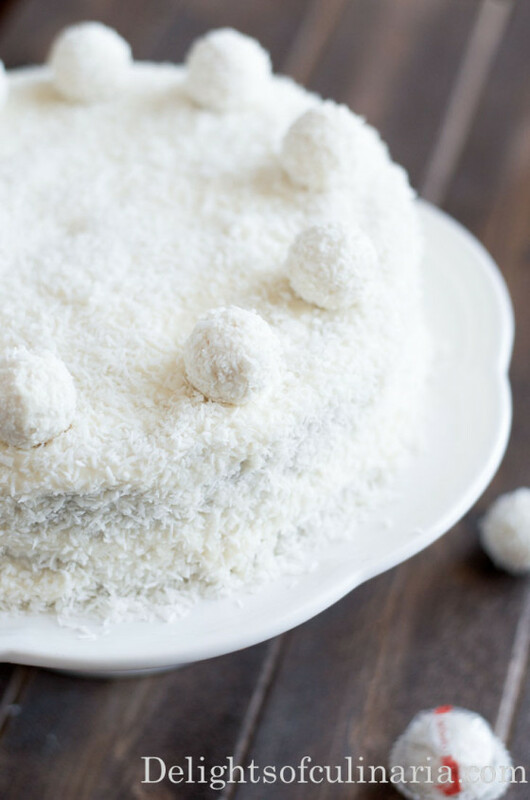 This coconut cake Raffaello will just melt in your mouth! 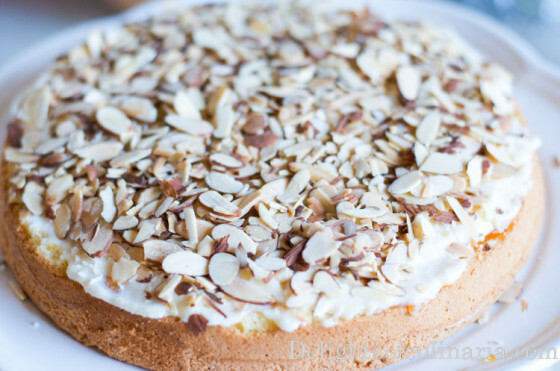 A soft and moist cake with almonds,coconut,and white chocolate. Creamy frosting is very tasty and simple with just two ingredients. 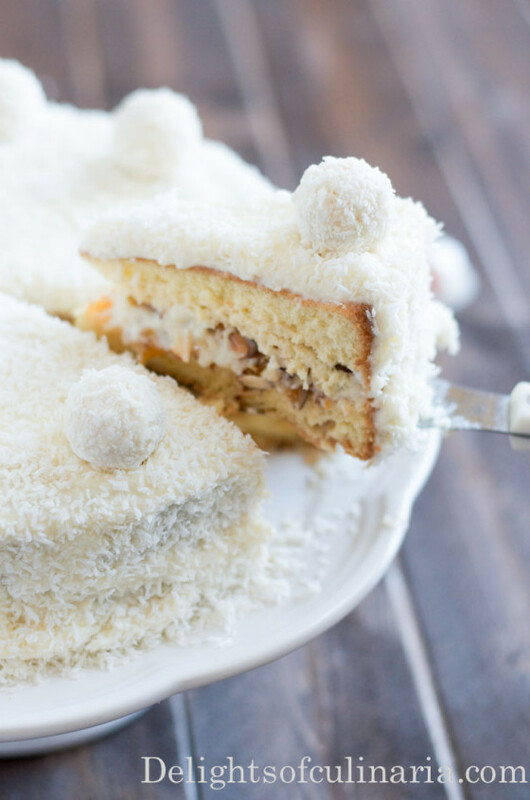 Overall this cake is super easy to make and divine as the Raffaello candy. This recipe was inspired by my sister-in-law Galina with additions of few ingredients. Line the bottom of 9 inch springform pan with parchment paper and grease the sides. In a stand mixer or using a hand mixer,beat eggs,sugar, and vanilla until light and fluffy. Gradually on low speed or using hands/spatula mix in flour. Bake for 30-35 minutes. Let cool. Whip mascarpone cream with condensed milk for not more then a minute. Just as well combined. Combine evaporated milk with amaretto liqueur or almond extract/essence. Slice cake in half. Using a spoon,pour half of evaporated milk mixture* on the bottom layer. Spread jam if adding any,followed by good amount of cream. Sprinkle almonds,coconut, and white chocolate(optional). Spread remaining cream all over the cake. Add shredded coconut to the top and sides of the cake. Sprinkle with white chocolate and top with Raffaello candies. 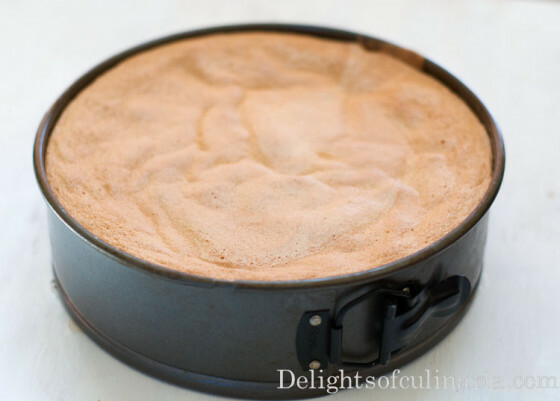 *If you like your cake to be on the sweeter side, add 2 tablespoons of condensed milk to evaporated milk. If you don’t like your cakes moist,you might want to reduce soaking mixture. Gradually on low speed or using hands/spatula mix in flour. Bake for 30-35 minutes. Let cool. Add shredded coconut to the top and sides of the cake. Sprinkle with white chocolate and top with Raffaello candies. *If you like your cake to be on the sweeter side, add 2 tablespoons of condensed milk to evaporated milk. If you don't like your cakes moist,you might want to reduce soaking mixture. Can you not add liquor to this recipe? I don’t cook or bake anything with wine or liquor. Yes Valya, you can skip that part. ( I mentioned that you can replace with almond extract). B ut note…any extract still has alcohol. Thank you! I wouldn’t mind a piece right now. Hi, can I substitute evaporated milk with something else? I can’t find this milk. Hi Karol, I honestly didn’t try without evaporated milk, but I think best thing to do is just add more condensed milk and heavy cream. This is on my to do list for my sons birthday party. I hope it will come out good.